It’s no surprise that the oil industry is fighting California’s cap-and-trade program. But it is enlightening to see the strategy laid out in a leaked PowerPoint presentation [PDF]. Last week, Brad Wieners at Bloomberg Businessweek leaked a presentation put together by the Western States Petroleum Association (WSPA), an oil industry lobby firm that operates in California. 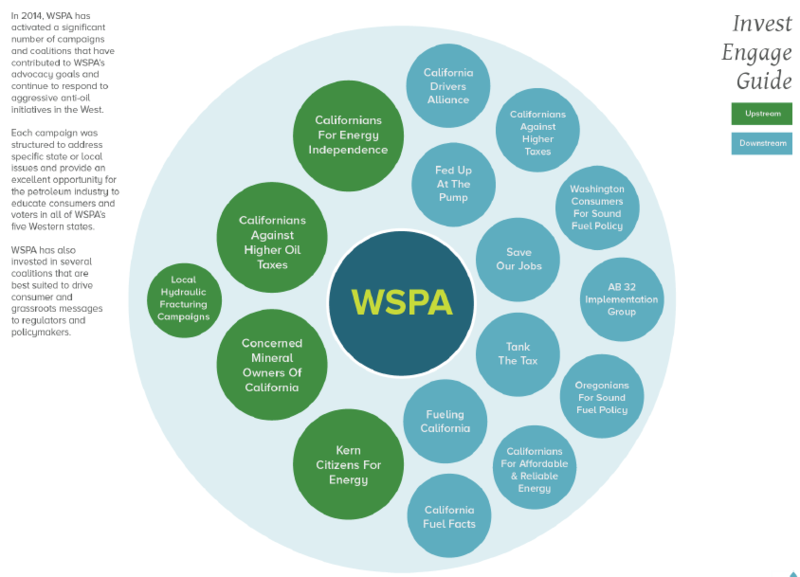 In the presentation slides, WSPA details its strategy to oppose regulatory efforts in California, Oregon, and Washington to combat climate change, including California’s Global Warming Solutions Act (A.B. 32), low carbon fuel standards, and the cap-and-trade system. 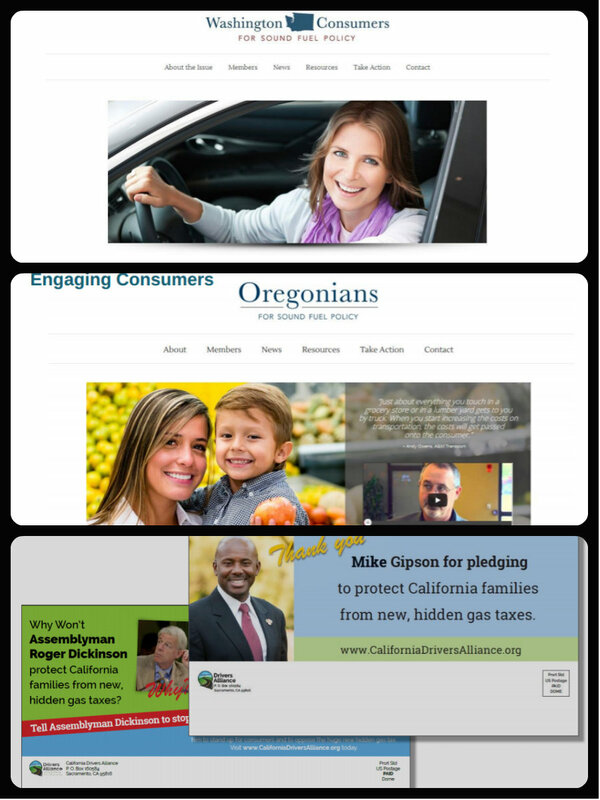 One of those groups put together the “Stop the Hidden Gas Tax!” campaign, which tried to convince California consumers to protest against rising gas prices that will supposedly result from the fuel industry coming under cap-and-trade regulation in January. The campaign didn’t get much traction, perhaps because gas prices are falling, or perhaps because, as Tim O’Connor of the Environmental Defense Fund points out, California voters have consistently supported clean energy alternatives. It’s eye-opening to see the lengths [the WSPA] has gone to push back rather than move forward. I don’t think anybody knew how cross-jurisdictional, cross-border, and extensive their investment is in creating a false consumer backlash against [climate legislation]. However, WSPA took part in the formulation of those regulations. A.B. 32, and its cap-and-trade regulations that charges industries money for the pollution they emit, is groundbreaking and frightening to big oil, as evidenced by WSPA’s presentation. It is just beginning to produce major funding streams for all kinds of sustainable programs, from affordable housing to transit to high speed rail, and the rest of the nation, and the world, are watching to see how well it succeeds. A.B. 32 could spawn climate change legislation elsewhere, equally noxious to the oil companies’ polluting habits, so no wonder they are attacking it every way they can. Prediction. Gas prices have been “plummeting” in the last 6 months. I believe the price drop is happening artificially so that, in coordination with this campaign, come early January / February we will see prices spike and media pieces in place to blame it on the cap and trade program. Does anyone expect the oil companies or any business to absorb the cost increases brought on by cap and trade? That cost will be passed on to the customers. In the case of big oil, it will be reflected at the pump.